A Samsung Galaxy Note 7 has reportedly exploded again, this time in the hands of a six-year-old boy. The boy experienced “burns to his body,” and is too afraid to be near any other devices, according to The New York Post. “The child was watching videos on the phone when the battery exploded,” Linda Lewis, the boy’s grandmother, told The Post. “It set off alarms in my house. “He is home now. He doesn’t want to see or go near any phones. He’s been crying to his mother.” Lewis claims she’s been in contact with Samsung but refused to elaborate further. Samsung has issued a full recall for all Galaxy Note 7s, because they all risk spontaneously exploding, especially while charging. Airlines are even mandating that all passengers with a Galaxy Note 7 must turn off and stow their phone during flights. 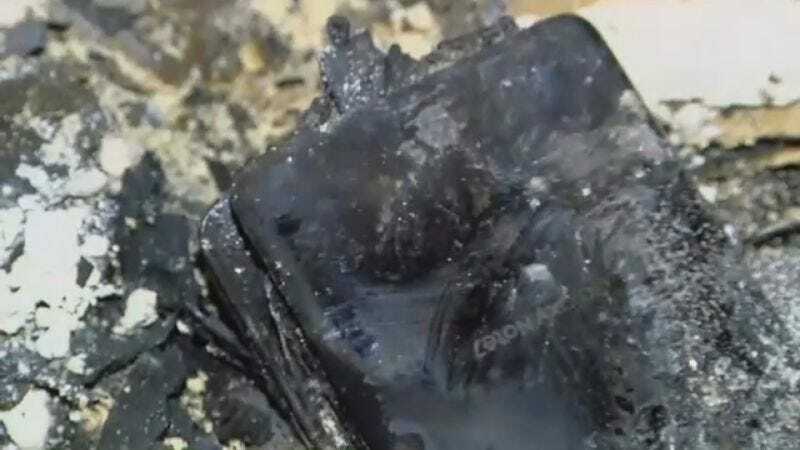 The exploding phone has been linked to a house fire in South Carolina. The US Consumer Product Safety Commission also warned to stop using the phone. Gizmodo has reached out to Downstate Medical Center, where the boy was taken to treat his burns and Samsung and will update if we hear back. Update 12:46 PM EST: Samsung says they are in contact with the Lewis family, but declined to comment further.